Plywood is commonly used for formwork. 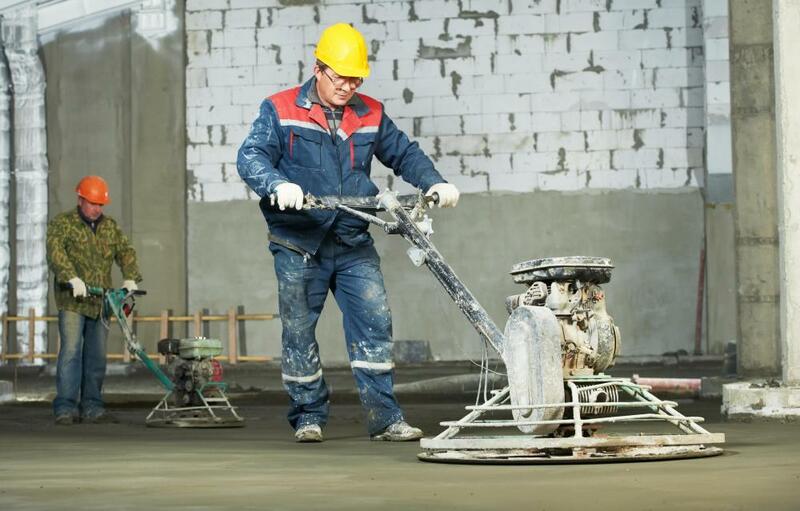 Power trowels might be used to impart a smooth surface finish on freshly poured concrete slabs. When pouring concrete, it is necessary to first form a mold so the concrete will hold its shape as it dries. Wooden formwork is very commonly used to create this mold; these slats of wood or boards are either permanent fixtures or temporary ones that will be pulled away once the concrete sets. In most cases, the wooden formwork is temporary, and it is held in place using braces known as falsework. 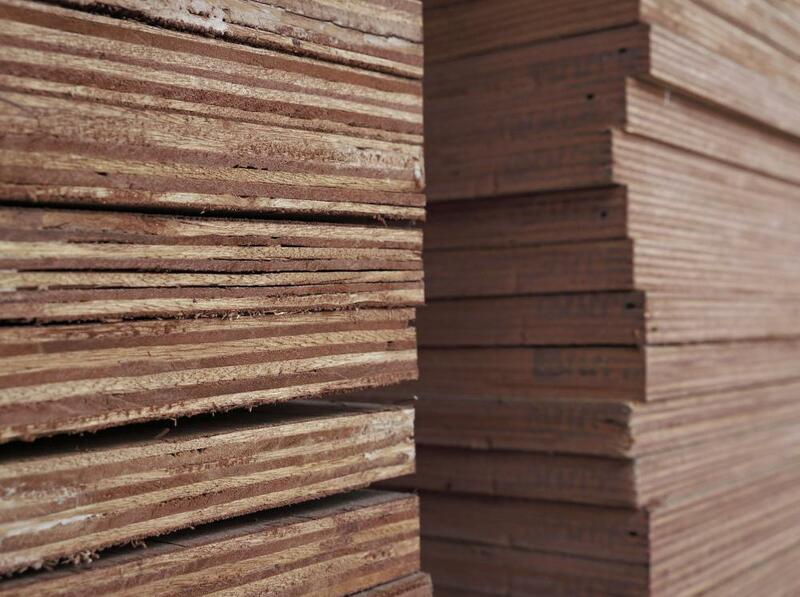 Plywood is one of the most commonly used types of wood for formwork because it is generally inexpensive and some types of plywood are resistant to water damage. A concrete worker will create wooden formwork before the concrete is mixed and poured. It can take some time to create formwork, so this step of the process is usually done well in advance — sometimes even several days in advance of the concrete pouring. Blueprints or plans will be necessary to determine where the wooden formwork must be placed, and falsework braces must be positioned to hold the plywood or other type of wood in place. The plywood used for this task is usually low-cost, though it must be water-resistant material since it will be exposed to the elements and the moisture from the concrete. Sometimes the plywood can be reused for more than one concrete job. Once the wooden formwork is in place, the concrete can be poured within it. The formwork will remain in place until the concrete sets, which can take several days or even a week or more, depending on the weather conditions. During this period, the concrete is usually covered with tarps to prevent excess moisture build up. After several days have passed, the wooden formwork can be pulled away from the concrete. This task is usually fairly easy, though in some cases the wood may stick to the concrete, necessitating more effort or tools to pull it away. Wooden formwork is used in lieu of metal formwork because it is less expensive, lighter, easier to move, and usually easier to store. The drawback to wood is its tendency to warp or bend. The concrete will end up taking the shape of the wood, so if the formwork bends or warps, the concrete may not end up being straight. This can be a significant problem for some types of construction processes; if straightness is a very significant concern, it is usually best to go with the more expensive and heavier metal forms. What Are the Different Types of Formwork Supplies? How Do I Choose the Best Formwork Design?